LOS ANGELES (Reuters) - Matthew McConaughey and Woody Harrelson may be best known as fun-loving comedy actors, but the pair put aside the laughs and their friendship to portray detectives at odds with each other in a gruesome television series for HBO. "True Detective," a new anthology premiering on Sunday, pairs Rust Cohle (McConaughey) and Martin Hart (Harrelson) to solve a strange and grisly murder case that takes them deep into Louisiana's dark, impoverished and drug-stricken underbelly. The series spans 17 years, from the time the two detectives begin investigating what appears to be a sadistic killing in 1995 up to 2012 when the case is reopened and each detective, in very different places in their lives, is questioned by police. "It's a whodunnit for the murder case, but what you're going to see throughout is who these two guys are, and when you see them in 2012, how the hell did they get there and what happened in the interim," McConaughey told Reuters. McConaughey, 44, who has forged a career with comedic roles that capitalized on his Southern charm and good looks, said he found a "clear identity" with his character Rust, an introverted and obsessive investigator whom he called "an island of a man." "He's not good with civilization in society. He doesn't know how to have an improvised moment. He's not wired like that. He's not trying to be antisocial. 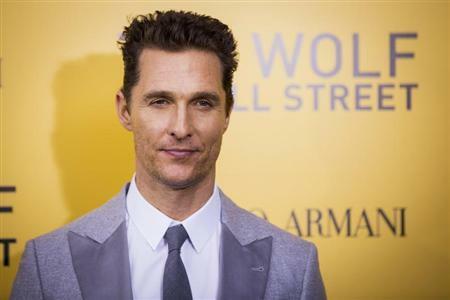 He's just a bit of an outlawed monk," McConaughey said. Harrelson's Hart is more affable on the surface, but quickly the cracks begin to show in his seemingly stable personal life as he struggles to keep his marriage on track as the case takes both him and Rust into treacherous territory. McConaughey and Harrelson, 52, who previously teamed up on 1999 comedy "EDtv" and 2008's indie comedy "Surfer, Dude," said they faced challenges in paring back their off-screen buddy chemistry to portray the tense and restrained relationship between Rust and Hart. "We reciprocate, and that's part of the beauty of our relationship. We add onto each other. We affirm each other... but (in this show), we're not cozying up to each other," McConaughey said with Harrelson by his side in an interview peppered with their own amusing side conversations. Their prickly partnership only lasts for the eight episodes of the first season. The series' next installment will feature a different cast and story that have yet to be revealed. "True Detective" marks yet another step for McConaughey into heftier dramatic roles after years of lighter fare that included goofball romantic comedies like "How to Lose a Guy in 10 Days." 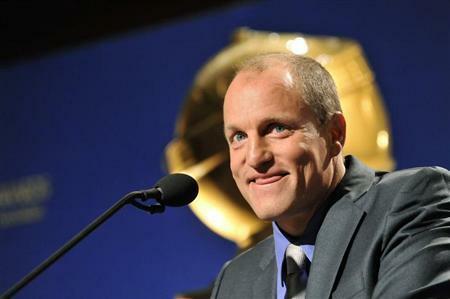 His darker, grittier projects include 2011's "Killer Joe" and 2012's "Mud." The actor has most recently gained critical acclaim and lead acting award nominations at the Golden Globes and Screen Actors Guild for his turn as homophobic drug-addict AIDS sufferer Ron Woodroof in "Dallas Buyers Club." The transition to darker projects coincides with McConaughey settling down in his personal life, now married with three children. "Having a family, I can definitely measure it as having given me some courage in my career," he said. While Harrelson became a household name as bartender Woody Boyd in 1980s TV sitcom "Cheers" and has moved between film and TV throughout his career, "True Detective" marks McConaughey's first major venture in television, which brought its own challenges to the actor. "It demanded more patience from me as an actor to say what are the stages of my character," McConaughey said. "This first stage in 1995, where Rust Cohle is very stoic, and boiling underneath, I had to do that for over a month. And after a month, I was getting antsy thinking 'Am I doing enough?'" In the 17 years, McConaughey's Cohle undergoes a big transformation, from a young clean-cut and determined man to a beer-swigging, pony-tailed cynic. Harrelson, who last year alone alternated between indie drama "Out of the Furnace," big budget franchise "The Hunger Games: Catching Fire" and animated Thanksgiving film "Free Birds," said he wants to leave the darker projects behind him. "I love that Matthew is doing these dramas even though I think he's one of the funniest guys I know, but 'Dallas Buyers Club', that was one of the finest performances I've seen in years," Harrelson said. "So it's great that he's doing it, but I'll let (him) do it because I'm over it. I just want to do comedy." Fact-checking 'The Highwaymen': How accurate is Bonnie and Clyde's brutal, bloody end?